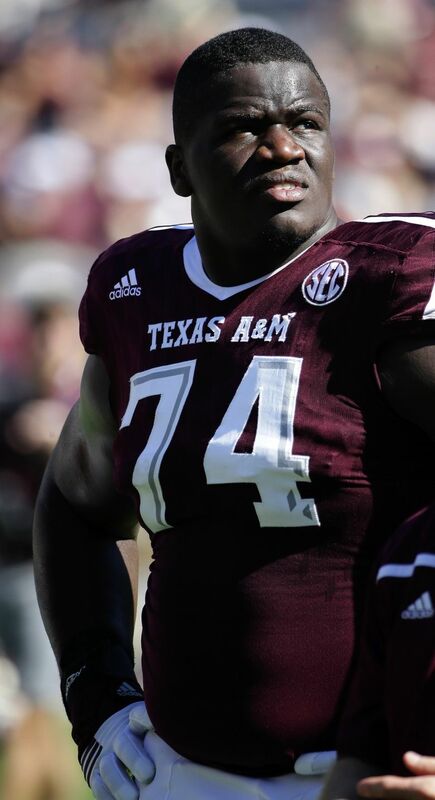 The Seahawks addressed their biggest need by selecting Texas A&M offensive lineman Germain Ifedi in the first round. Birth date: June 2, 1994. Personal: His brother, Martin Ifedi, was drafted in the seventh round by the Rams last year and is a defensive end with the Tampa Bay Bucs. Germain Ifedi was a highly recruited offensive linemen out of Houston and decided to stay close to home when he chose Texas A&M. He passed up his final season at Texas A&M to enter the NFL draft early. His father works for United Airlines ,and his mother is a parole officer and part-time nurse. Scouting report: The Seahawks filled their consensus need and their most obvious hole by drafting an offensive lineman in the first round. Ifedi has a versatile background, which the Seahawks like from their offensive linemen. He started as a guard in college before spending his final two seasons at tackle. Another thing the Seahawks like: Ifedi is a good athlete for a big guy and moves well along the line. That’s important for linemen who play for offensive-line coach Tom Cable. Ifedi is a bit raw and didn’t operate out of the three-point stance much in college, but many analysts think he has big upside. “He’s a really good pick for a team that needs offensive linemen,” NFL Network analyst Mike Mayock said during its draft broadcast.